Turquoise Blast | Artwork – Store – Tammi B. Ph.D.
Hand painted mandala 20" x 20" acrylic, mixed medium, gold leafing and Swarovski crystals. 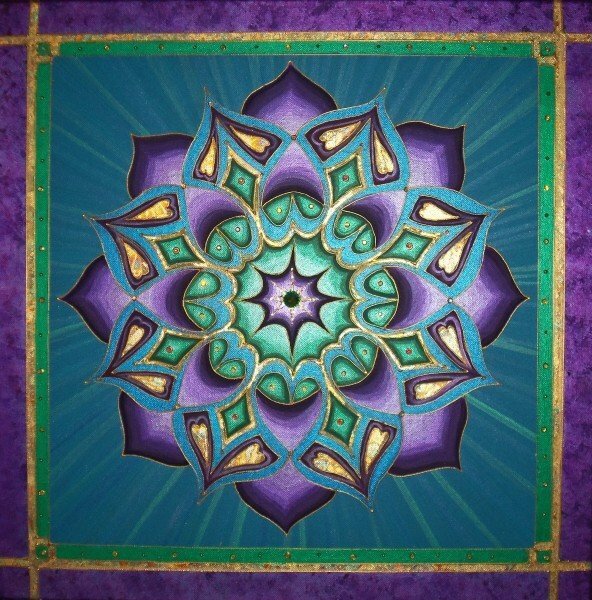 This pattern was one of the first mandalas I ever drew and 10 years later decided to paint it! My intention while creating it was to more fully claim creativity and to manifest magic!